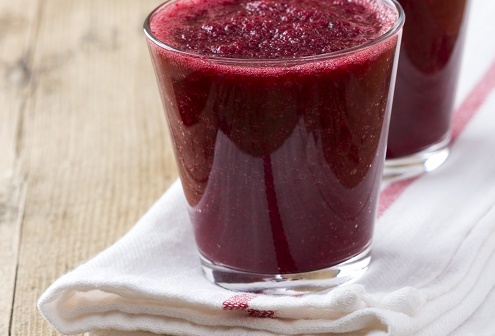 This breakfast drink is a healthy alternative to your morning cup of coffee. Cube or steam the beets before blending if you don’t have a high-powered blender. Chop up a generous helping of ginger and cut the orange in quarters. You can use less ginger if you dread the spicy flavor. Drink right away.